This breakthrough is added to the 'Media Coverage' archive of my life found here. Going back in time to see the changing platform of my writings due to the advancement of technology is quite interesting. The 1 Million viewers milestone was achieved this year reported by Google+ which includes blogger and youtube that provided the platform for my writing and sharing of graphics as well as to receive the analytics too. I have also used other platforms to draw viewers including facebook, my own triple websites of Familylane, Fastlane and Spiritlane with a lesser extent of using LinkedIn and Twitter. The shift in the media used for viewing from the computer monitor to the tablet and eventually small touch screen of smart mobile phones created a need to modify the output of my writings. Most media such as Google+ or Facebook had automatically updated their software to fit the smaller screens. 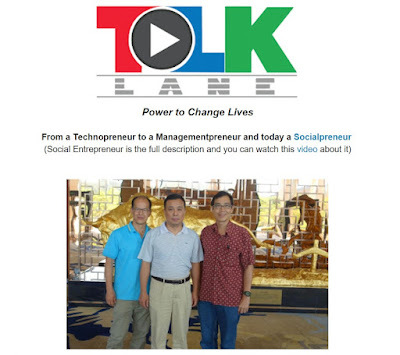 For my own triple websites, I started working on www.familylane.info website that was originally designed to be viewed on computer screens only and I had to make coding adjustments to make the website mobile friendly with the creation of www.familylane.info/photolinks. Work will continue on the other web pages through time and focused attention. I did try some quick fixes that made my writings from the original Familylane website more readable but it didn't look nice. You can sample view it by typing the URL of familylane.info on a mobile device, or if you're reading this on a smartphone, just click here to see that all the graphics and photos have been trimmed off losing the original menus as well that navigates the user to other pages of the original website. The inspiration behind writing in blogs started in March 2005 due to my desire to keep up with the younger generation starting with our oldest child Fei who led the way with others following suit later. That was a decade ago today since I started writing in online blogs. 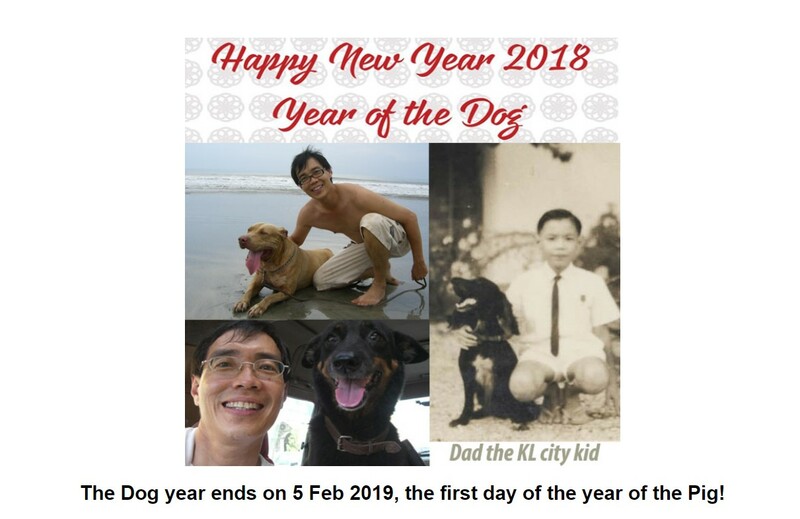 As these online blog posts increased, creating a Familylane website to highlight the different posts over the years was created by Dec 2005 as mentioned in that year's Newsletter below. 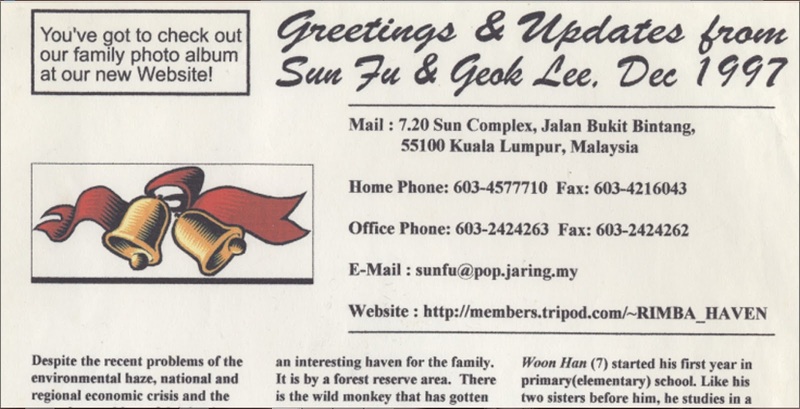 Prior to 2005, it seems that I had not used any blogs nor my own website to publish my writings. 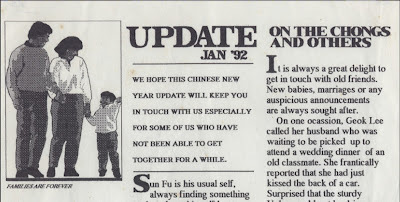 Referring to our desktop published newsletters that I wrote yearly and snail-mailed to all my friends and family members since 1992, it is noted in my Dec 1997 issue that I had used a 3rd party website called tripod. 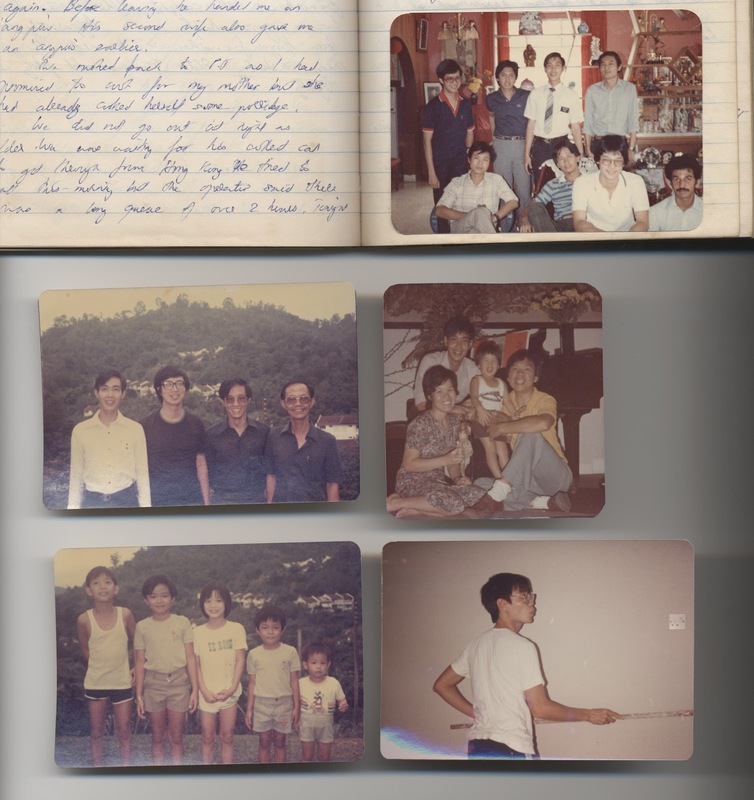 This is the beginning of our Familylane stories published online. 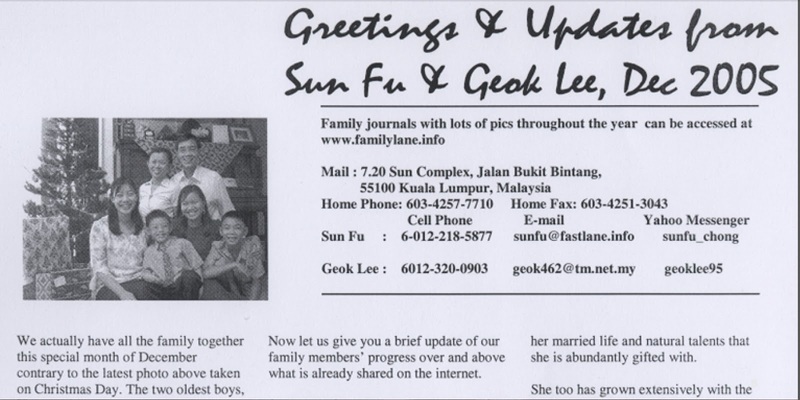 Our first copy of our family updates in a publisher produced newsletter was sent out to friends and family members globally by snail mail in this year. 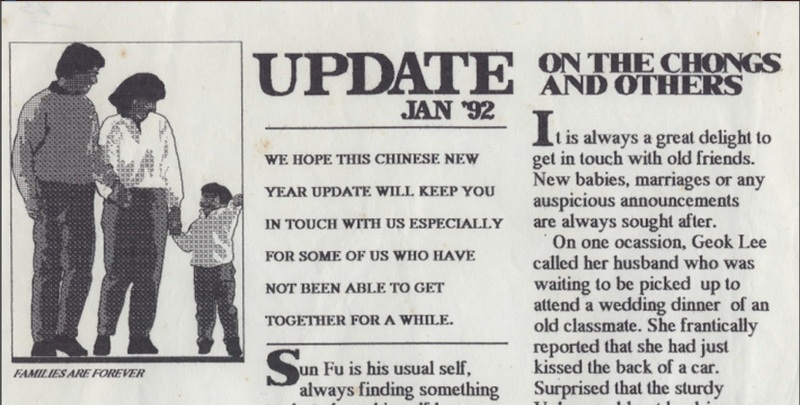 Reading the Jan 1992 pilot issue of our family news, it reminds me that it was our first attempt to create an online presence using the archaic BBS Bulletin Board System that was a precursor to the world wide web. 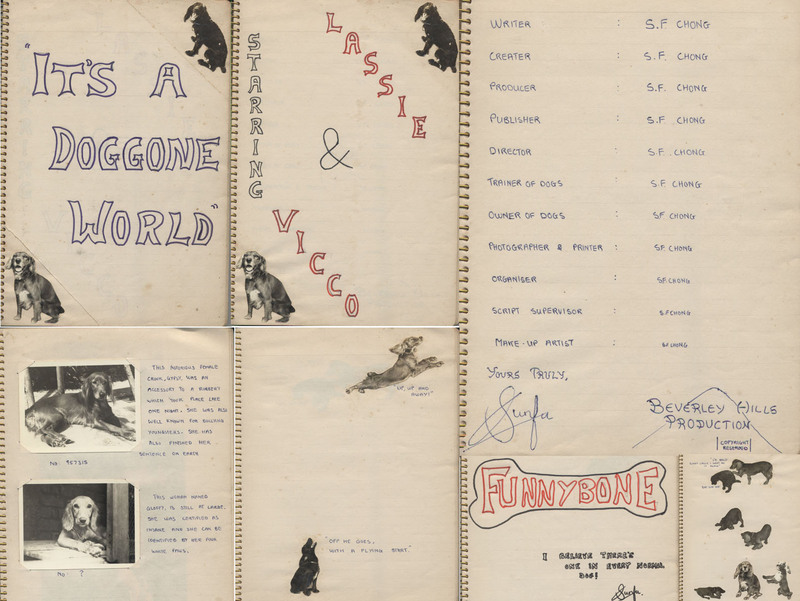 My writing platform without the use of technology in the early years of my life was the basic pen and paper method where photos would be pasted on the pages of the book where appropriate. I have kept all these old hardcover books with me to this date and use them to recall really old memories to transfer selected ones to my online journals whenever I feel inspired or have the time to do so. 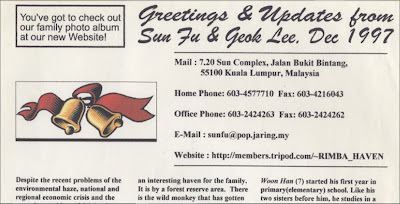 A reunion of all of our schoolmates turning 55 in the year 2013 was an occasion I was inspired to dig up my old journals and photos to create this online post. I consider my writings to this date as the work of my heart and the personal websites I've created as the by-product of my hobby of html coding, I have never cashed in on my ratings of over a million views though there are the monetizing schemes that abound in the internet world today. I have even met Eytan Elbaz the co-creator of AdSense, the monetization program of Google, in one of my business trips to the US. I guess I must perceive a value in my writings to be a 'Larger than Life' purpose of my sojourn on this earth. I feel my writings to this date has been a result of all the questions I've asked about life to publish the results of my choices and actions I took after thinking in my mind the most proactive question, the "What If...?" question. What do I mean by this in simple child like terms? It means like every child, I would ask firstly a lot of "What" questions like "What is this?" Then it may progress to "How" questions like "How does it work?" Ahh... then as I grew up to become more advanced in my thinking, it would turn to "Why?" questions. The first two type questions I found could usually be answered quite objectively to my satisfaction. However the last question always seems to be answered more subjectively to prompt me to ask another "But why?" question or a series of it when my mind cannot understand or accept the answer given to me! So what soon came to my mind at an early age, to get the best or real answer that will satisfy my own curiosity, was to imagine the possibilities of the "What if...?" question first in my mind to figure out what could be the possible outcomes. Then if I'm bold and passionate enough to want to know what the truth or reality will be, I will optimally choose a course or path to act upon that I had imagined in my mind to be the best one to experience reality for myself, noting that I would already have included in my imaginations what some of the worst possible outcomes could be! "What if Dogs could Talk....?" One particular scene that I did not photograph and wished I had a video camera then in those days to record the entire experience was when one of the young Cocker Spaniel female dogs who was a little young to be a mother gave birth to a litter of 6 puppies. I was checking on her daily to see her progress when we kept her in the storeroom close to the delivery day. Then it happened one early morning when I was there just in time to see the labor process. This happened so many years ago but the memory is still vivid in my mind as it was a rather grotesque sight to see a small puppy come out of the mother that is inside a sac filled with fluid and an umbilical cord connected to the sac. The mother would instinctively begin to bite through the cord to detach the connection from her body. She would then tear the sac with her teeth without hurting the puppy to release all the fluid, leaving a small wet puppy exposed. She would then automatically begin to lick the puppy dry. After this was the grotesque sight to see her pick up the sac with the cord to swallow it all back into her body! Indeed if dogs could talk, I would have asked, "How did you know how to do all that?" From this experience, even though the mother never told me, I learned early the power of nature where somehow the creations of this world seem to be programmed with some innate intelligence to be able to do the right thing when the time comes! I knew for sure that no one had taught that young mother what to do when she had to deliver those puppies! In the later years when I learned about computer programming and the use of ROM chips to store permanent instructions for the computer to read at the time of the boot-up process, I realize how Mother nature had known all these things before Man found out about it to make these ROM chips for the electronic world! "What if I worked hard and played hard?" "What if I traveled the world?" "What if I added to my Science discipline the Arts?" "What if I studied Accounting and Computers as well?" "What if God was real?" "What if I was called to serve by God?" "What if I got married and raised a family?" "What if I left the audit profession to start a computer business?" "What if we had many children?" "What if I could always stay connected closely to friends and family?" "What if I could lead a Direct Sales organization?" "What if I could be a public speaker?" "What if my wife got sick and passed away?" "What if I became a writer?" "What if my wife could still talk to me after she is gone? "What if I can master social media?" "What if I got married again?" "What if I can overcome all my physical weaknesses?" Do it! Do it Right! Do it Right Now! My writings could be categorized into the BODY MIND SPIRIT (BMS) aspects or three dimensions of my life discovered when I was in New York City of USA as shared here. The three dimensions of my life also began to be linked to my Chinese name (张山福) spelled in English with the acronym CSF arranged in the Chinese order with the surname first (CHONG Sun Fu) and not the Western order (Sun Fu CHONG). This link was color coded where red represented the Body, blue for the Mind and green for the Spirit. Connect - When you connect, there seems to be a link created between two entities to enable them to understand and appreciate each other. From the time I was born, I sought to connect to all kinds of people from all walks of life and my body began to be charged up to become filled with passion and love for others. Synergize - As I matured, my mind seemed to make sense of all the experiences and knowledge that it was absorbing like a sponge. At first they didn't make much sense and often times had to be rote learned or memorized but like musical notes learnt without meaning at first, beautiful music began to appear that flowed naturally or in harmony, metaphorically speaking to allow the different people, entities or modalities to create more common sense, beauty, results and even relentless energy. The whole is greater than the sum of its parts. Futurize - As time moved on, I found myself surprisingly becoming a creator of the future, to realize that like everyone else, we are all creating something new in time, a new relationship, a new baby, a new story and sometimes even a new understanding, concept or tribe that can change the world for the better! I learned that I have since young loved to put together a picture story that best describes what I see in the subconsciousness of my mortal mind. They portray my physical efforts to be active in life at the same time reflecting the mindfulness of a being who is attempting to describe spiritual experiences I encounter in life. Btw it wasn't planned that I would have the above 7 pics that I found suitable to be inserted in a video found below, hence I must take note to add this experience in my growing 'Story of 7' of my lifetime! I also came across an article from a scientist to suggest that I may have used my basic background of science in school in my so-called 'experiment of life' that I have undertaken and shared the results thereof with the guideline that they must be sensible, measurable, and repeatable, so that others can make the same observations. This is a must-read article with Copyright © 1997 by Steven D. Schafersman found here. As I produced more stories with my photographs to create for example a Travelogue through time, places and people such as I had done in this post with its spiritual counter part, I could also create a video with photos adding inspiring music as the video below where the music was composed and played on the piano by our oldest son of our family. My multi-vision combined with multimedia skills has created a home for me in the social media world. As I listen to the music composed by Han our eldest son and look at the pics collected over the years in my life, a tingling feeling comes to me in gratitude for all that I have been given in life. From a boy with goodly parents, I grew up to become an educated adult blessed with a sure knowledge of God. With that foundation I found a great wife to create our wonderful family to be called a father! Adding on my wide experience in working life, I could feel how much I have immersed myself in the wonders of life to become the 'multi-sensory human' being that I have become. Having found my home in the world of Social Media, I believe this will propel me forward to another transformation of life that I look forward to in this progressive world of ours! I will definitely continue to write my journals and set a goal for myself to publish my first book completely based on the inspirations I have received from the experiences and thoughts recorded in my journals that I have maintained for almost all my life. Familylane 2018 reunion in Kuala Lumpur when all the children are already adults by legal age of 21!